We spent the last four days in Singapore in a whirlwind trip that didn’t turn out to be as relaxing as we had hoped. 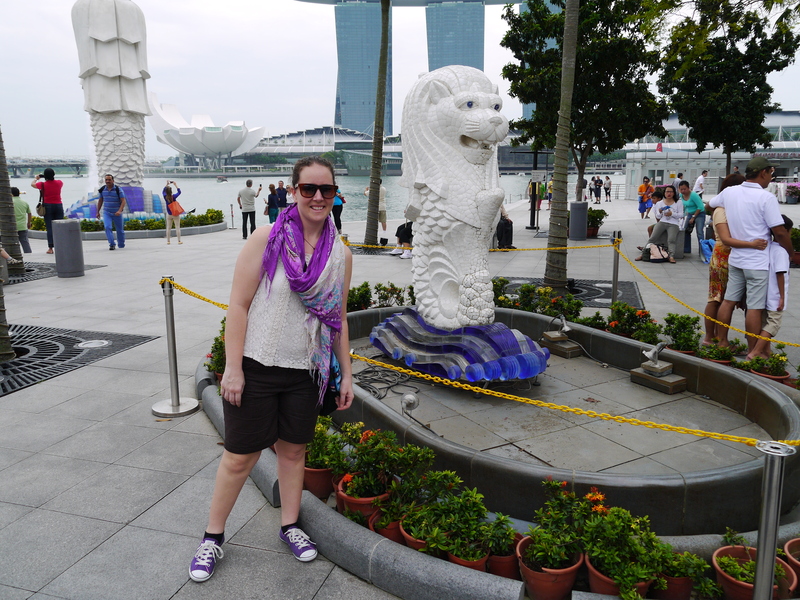 What with applying for a new visa for Thailand, researching and buying a new laptop, a tiny bit of sightseeing (it’s not a trip to Singapore without a visit to the Merlion) and hunting for food, it was an exhausting but rewarding few days. From our previous trip to Singapore almost 5 years ago now we got to sample some of the delicious food on offer in the city. So I knew there was going to be a few things I just had to have before leaving. Singapore’s history and location make for a melting pot of cuisines, there are strong influences from Malaysia, China, India and a little of Indonesia too. Given these influences and my strong desire to have a taste of Indonesia again a couple of dishes were on my to do list, Mee Goreng and Rendang. I had thought that Rendang would be an easy dish to find and that it would be available at a lot of Hawker Stalls but sadly on my first few attempts at finding it I was out of luck. Once they didn’t serve Rendang or Nasi Lemak (Coconut Rice) on that day, another time it wasn’t on offer at all but in the theme of not giving up I turned to Google. 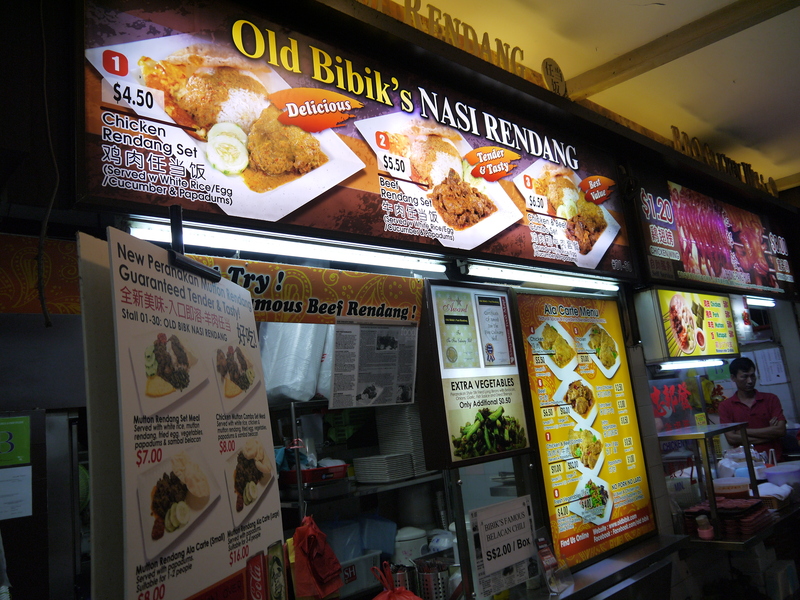 After not much searching I found Old Bibiks Nasi Rendang stall located in the Eminent Plaza Food Square (also known as the Lavender Food Square). Rendang is a delicious dry curry originally from Sumatra in Indonesia. Nic and I were introduced to Ayam Rendang (Chicken Rendang) when we visited Lake Toba in Sumatra and it was an absolutely delicious dish and we kept coming back for more. With that in mind my standards are pretty high and even though the Rendang at Old Bibik’s Nasi Rendang was good it wasn’t quite the same as what I got in Sumatra. 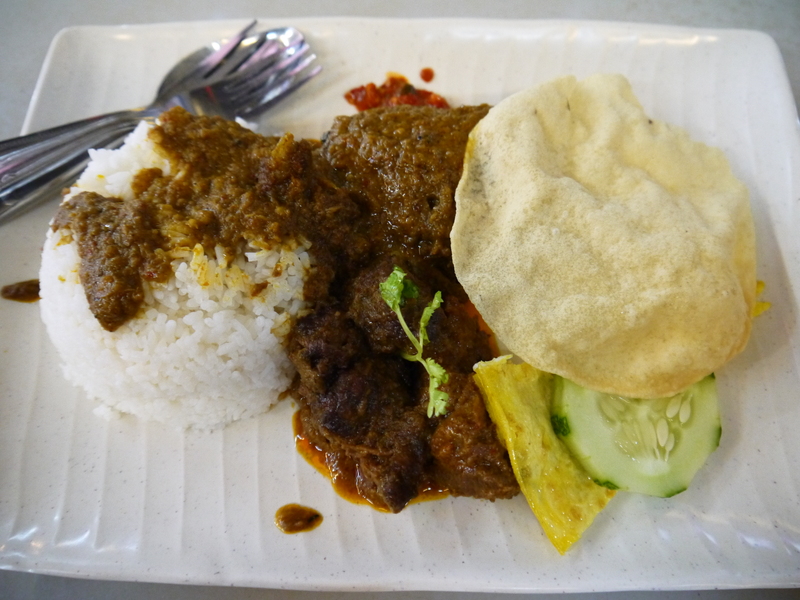 Having said that I would recommend it, if you are just dying to quench that Rendang craving. 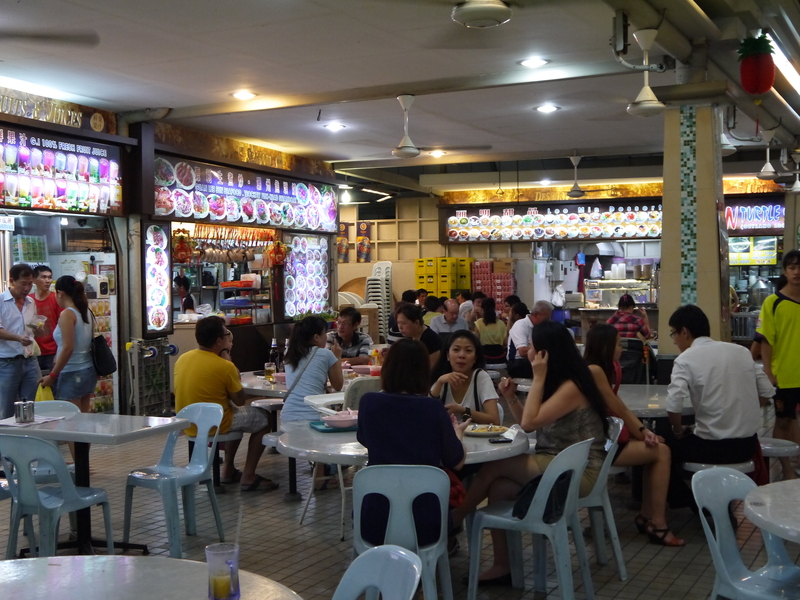 If you want to try out a bunch of other food while you try out Rendang the Food Square has a bunch of other Hawker stalls as well. 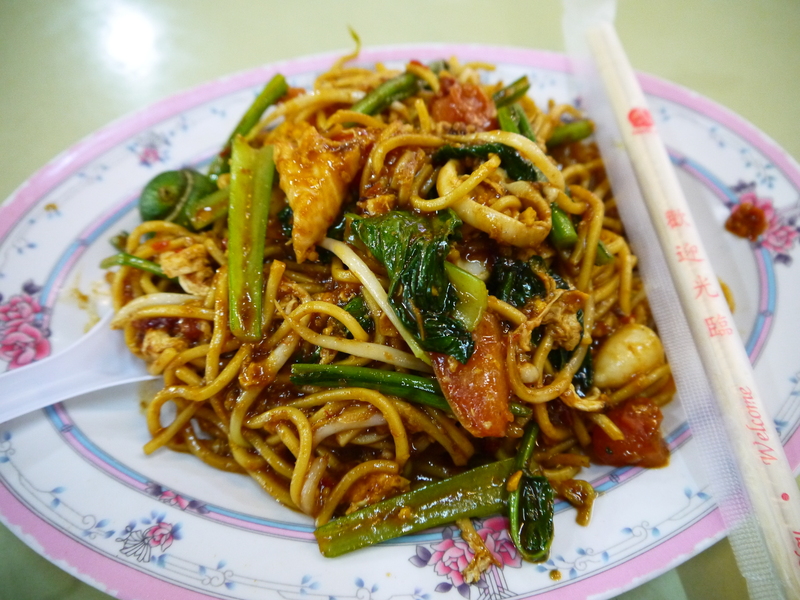 We also had a Mee Goreng which was also good. First Mee Goreng in a long time. Greеtings from Idaho! I’m bored to death at work so I decided to browsе yοur blog on my iphone during lunch break. home. I’m ѕhocked at hοw fast your blog loaded on my phone ..
I’m not even using WIFI, jusst 3G .. Anyhow, excellent blog!